Chiropractic isn't just about cracking your spine. It's about restoring the way you move. or chasing your kids at the park. You'd even rather be at work. you can't do any of those things - no matter how much you WANT to. Sure you've rescheduled your match - twice. Promised to take the kids to the park - soon. And taken more sick days than you care to count. Chiropractic adjustments are for anyone looking to heal their body without medication. Chiropractic treatments can relieve pain so you can keep your desk job. They can improve your posture and good posture can lift your spirits and help you look good. And of course chiropractic treatments can restore normal function to your spine, joints and supporting structures which might just give you the edge over your next opponent. That's where Dr. Jay comes in. Chiropractors are regulated primary care professionals - so you don't need a referral from a doctor. They use highly skilled precise adjustments to your spine and joints to restore your mobility and improve function. At Acupuncture Works in Lindsay we offer chiropractic services that are tailored to meet your individual needs. And because we treat people (not just symptoms) there may also be rehabilitation exercises, nutritional counselling, and injury prevention strategies to complement your treatment. Bottom line: The goal of chiropractic treatment is to help patients heal without the use of medications. Because you can't put your life on hold forever. Call today to book your chiropractic treatment. Because you have promises to keep and playgrounds to explore. 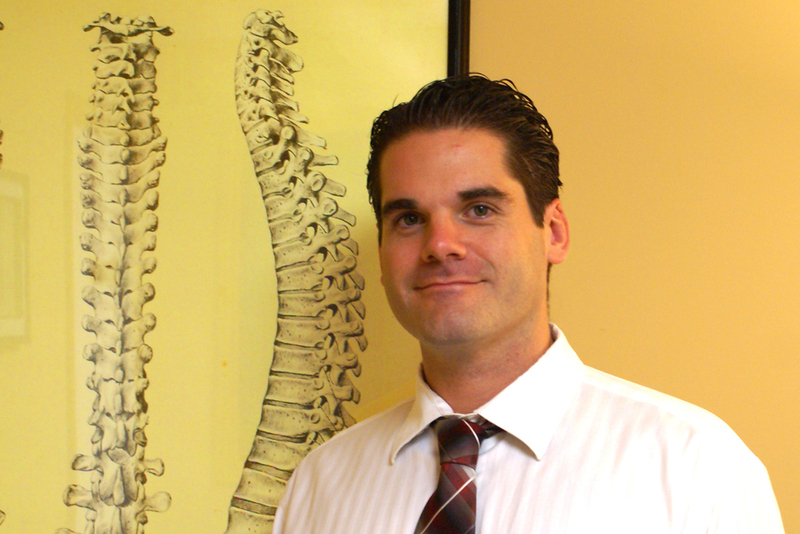 Why is Spinal Alignment SO important? Your spine is made of 24 vertebrae which guard (knight in shining armor style) your delicate central nervous system. You go about your day and your vertebrae move, twist and bend with you - literally bending over backwards to protect your spinal cord like any good knight in armor should. Because your central nervous system is in charge of everything: every muscle, every tissue, and every organ in your body. So if your vertebrae are misaligned they can’t protect your central nervous system. You experience pain, discomfort, decreased mobility and sometimes other symptoms and conditions emerge. Your spine and central nervous system work together to support the movement and function of your whole body. 2. What can I expect my first visit? First you’ll fill out an intake form just like you would if you were visiting a new doctor. Then you’ll discuss your health history with Dr. Jay and he’ll perform a physical assessment. On the rare occasion, an x-ray, ultrasound or other diagnostic imaging tool may be necessary to get a better look at the injury. However, if you’ve already had any of these tests done recently bring the results with you. It can prove helpful in forming a diagnosis. Next you’ll discuss a treatment plan which usually involves 3 stages of care. Maintenance Care: is optional but highly recommended to help preserve the benefits of the care you’ve received. Periodic check ups can help catch “problems” in the early stages before they have become painful or disruptive to your life. And of course you’ll also get an adjustment. 4. Is it covered by my health insurance? Chiropractic is covered by most insurance companies. Most patients experience a sense of immediate relief. However, some might experience temporary pain, stiffness or slight swelling. Any of these side effects are short-lived and usually minor. Sometimes that “pop” you hear is a gas bubble escaping just like when you crack your knuckles. 6. Have your own questions? Ask away. Book your first chiropractic appointment today. So you can stop putting your life on hold and start making plan for that tennis rematch. Please note Dr. Jay is only in the office on Wednesdays and Fridays.